What is one thing people should do when building for Alexa to deliver better skills? I would really think through your Discovery strategy — to get new consumers trying your skills. Whether you market the skill on your web site, or find another way to get people to try your skill for the first time, this is a big gap in the platform that you need to own yourself. Alexa has reached a point of maturity where the focus is shifting to unique high-quality experiences, so go beyond the “template” Skills that are abundant in the Alexa Skill Store and leverage recently-released features such as new SSML tags. Also think about how you will leverage upcoming features like push notifications and devices with displays. They should take advantage of the Beta [testing] tool that Amazon has delivered. No matter how well you research your skill, how well you design it and how thoroughly you test it internally, you need to make sure that your skill is used by lots of people who don’t have a stake in pretending that the skill is as good as it can get. It’s important for skills to be designed for both novice and expert users. Novice users need direction to understand what can be done with the skill. Expert users want to use the efficiency of voice to go directly to the content or functionality they want. Good skills will work well for both and adapt to the user’s familiarity with the skill. For Alexa, it’s important to think carefully about your skill name and how this will work with your invocation phrases. If you’re a big brand then this is probably going to be your brand name but its important to think this through from a user’s perspective. Do they associate the brand with the task? How will it work with intended actions? If you’re building a skill for fun or building a new voice-first product, think about how the name relates to the task. Also consider the speech recognition limitations. For example, long phrases can be more prone to error. “Alexa, ask Uber for a ride”, works great. “Alexa, ask U K top forty for the number one this week”, not so well! Integrate the notion of intent. So far all the Alexa skills I have seen or use are “command” driven: “Turn the lights on” or “Tell me my day”. I would love to see something around intent such as “I am a happy mood, where should I go for dinner” would understand you actually want a reservation at a restaurant after 5pm. Some people, particularly those intimidated by technology, are timid in the way they engage with Alexa. This is common among seniors as well. When Alexa hears the wake word, the user has 8 seconds to issue a command. If the command is not clear, or there is too much hesitation, Alexa will sometimes, not always, just go away. It would help this type of user to have Alexa stay with them, perhaps even offering a suggestion, much like a search engine does. Reprompt. Always, always, always supply a reprompt. If the users is confused, and pauses, this will give them a hint about what to do next. If they are in the middle of an action, remind them of the choices they have for that action. If they are between actions, suggest to them the next logical action based on what they just did. If there is no best choice, rotate or randomly choose some other feature of the application to tell them about. The key is that a reprompt can get the user re-engaged right when they are about to disengage. Make sure you integrate an analytics platform during the development of the skill. By tracking missed utterances and invalid user requests through our platform Opearlo Analytics we’re able to continually optimize the Alexa Skill and improve the user experience. To accomplish this, we recommend introducing unit-testing and continuous integration practices from the outset. This sort of test-driven approach takes just a bit more time to get setup, but pays dividends over the life of the skill. 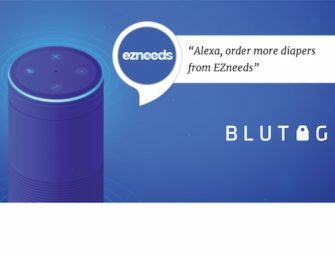 Developers can use Bespoken’s Alexa emulator to ensure their skills are working perfectly, now and as they add features over time. An example of such an approach can be found in our Podcast Streamer project – check it out here.